With Google AdWords, your campaign performance is directly proportional to the accuracy of your conversion tracking. In other words, the more accurately you can track sales generated directly from your AdWords campaigns, the better your ad performance. When you know exactly which keywords and ads are driving sales and which are simply wasting your money, then optimizing your account is fairly simple – Pause poor performing keywords and ads, and reallocate your budget to what’s working. To help you answer that question, I’m going to walk through a case study that shows how we used both online and offline tracking to grow our client’s ad profits by 53% and revenue per sale by 199%. This client has both an e-commerce sales process and a traditional sales team. That means customers can place orders online or they can request quotes via webforms and then purchase after talking to a sales rep. If you’re familiar with conversion tracking, then you know this situation can present problems. e-commerce sales were being tracked (but not the value of the sale). We could see the number of e-commerce sales, but it was not possible to see how large or small the orders were. Quote requests were being tracked. We could see the number of quote requests, but we did not know if those later converted into sales or how large or small the orders were. At this point it’s important to note that the majority of sales for this client were generated via quote requests, not via e-commerce. To make things even more difficult, quote requests not only came in via webforms, but also via phone calls from the number listed on the website. Clearly, the conversion tracking that had been set up was not enough to maximize the AdWords account performance. We were missing some critical data. Let’s pause for a minute here… Can you list the critical conversion tracking we were missing for this account? As I noted above, the majority of sales for this client are not from e-commerce; They are from quote requests. Every click on your ad creates a unique GCLID, or Google Click ID. Your web developer can read this GCLID and submit the code through your webforms. This may sound complicated, but trust me, it’s very straight forward for a web developer. Ideally your forms submit to a CRM system like Salesforce or Infusionsoft where you can then track your sales funnel and the GCLID is part of each contact’s record. If you don’t use a CRM system then a spreadsheet can work fine as well. Your team sells over the phone or in person or via email or any other method. Every month, you import the GCLIDs from all of your sales, along with the revenue of each sale, into Google AdWords. Google AdWords automatically adds the conversion data to your account so you see which keywords and ads generated the sales. This was by far the most important step because it allowed us to see exactly which keywords and ads were responsible for sales, not just quote requests. E-commerce revenue tracking so we could see the total value per sale for each e-commerce transaction. Website phone call tracking so we could see how many calls were generated from the number displayed on the website. Ad phone call tracking so we could see how many calls were generated directly from the number displayed on the ad. And soon we will work with this client to implement imported phone call conversions, which is a brand new conversion tracking tool Google is rolling out to all accounts. Maximize profit, which we calculate as total revenue minus ad costs. Since we set up the tracking listed above, we can see the revenue from e-commerce, as well as revenue from quote requests in the Total Conversion Value column of the AdWords reports. To make it even easier, we also created a custom column called “Profit” which automatically calculates this for each campaign and ad group. Maximize revenue per sale so we’re driving larger orders for our client’s sales team. Since there is real work involved in the sales process it’s important to ensure the ads are not wasting the sales team’s time with small orders. In AdWords, this is automatically calculated in the Value/Conversion column of the reports. Eliminate wasted ad spend. The two big culprits here are 1) keywords that drive quote requests that don’t turn into sales, and 2) keywords that don’t drive quote requests or e-commerce sales. These are easy to spot using the conversion columns in AdWords. Below is a graph showing the profit and the revenue per sale from January 2015 through June 2016. You can see the first full month with conversion tracking data was April 2015. In that month, the AdWords campaign generated $21,179 profit with a revenue per sale of $52.85. There is of course some fluctuation over time and some of it is due to seasonality. To take that into consideration, let’s compare April through June 2015 versus 2016. From April through June 2015, this AdWords account generated $76,249 profit with an average revenue per sale of $79.32. Then from April through June 2016, this same AdWords account generated $116,948 profit (increase of 53%!) with an average revenue per sale of $237.37 (increase of 199%!). The impressive growth stats above would never have been possible without first installing the sales tracking back in March 2015. Sure, we could have estimated each quote request was worth on average X dollars and then optimized to maximize quote requests. However, we saw that all quote requests were not equal. In fact, there were keywords in the account that had dozens of quote requests and zero sales! If we didn’t have the sales data we would have blindly continued to invest in those unprofitable keywords. 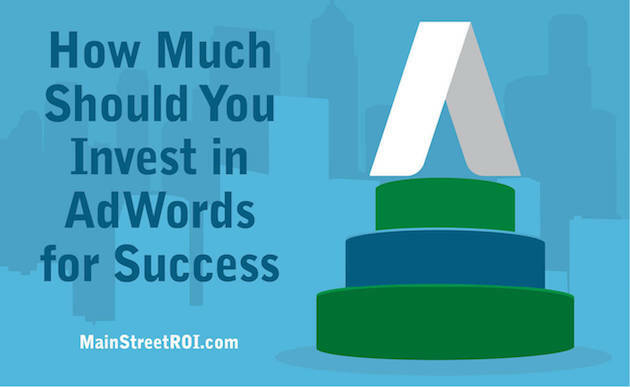 Want to learn more about AdWords?